We clean any type of blind, shade, or shutter. Don’t trust just anyone to clean your window coverings. 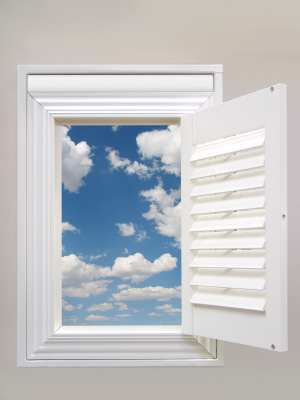 The inexperienced are likely to damage window coverings by cleaning them incorrectly. We even guarantee our work so you won’t have to worry about risk. Just have us perform our cleaning and review our superior service. You have nothing to worry about! How will the blind cleaner clean my blinds? And will he be able to wash my set of blinds on-site or will he have to take them to a shop? Well, the answers depend on the type of covering and the amount of debris on the covering. Most blinds are cleaned on site either out on our mobile blind cleaning machine. Wood blinds, vertical blinds and shutters are cleaned in place, inside the home. Mini Blinds (metal, vinyl, aluminum, plastic, etc.) are designed to outlast other types of Venetian blinds. Don’t let them corrode or bend out of place from ill-treatment or weak upkeep. They are susceptible to moisture and salt in the air, not to mention the layering of dirt. We usually clean these on-site with a special silicone-based solution for a detailed deep wash.
Natural Wood blinds expand if too much moisture comes in contact with them. And their grainy surface, while something to admire visually, can make damp wiping of them a vain pursuit. We usually clean these on-site with a special oil-based solution. Faux Wood Blinds: These coverings are a fantastic way to control the light in your home or business without the headache of real, natural wood slat blind upkeep. As fake wood they are easier to clean, they last longer, and quite often they are just more visually pleasing, but don’t let that fool you. They too need a conscientious maintenance program. We usually clean these on-site with a special silicone-based solution and a detailed deep wash.
Vertical Blinds (vinyl, aluminum, & PVC): Vertical blinds can also be a challenge to clean if one doesn’t possess the right equipment and know-how. They are often made out of fabric. Plastic ones yellow. Thus, when you show them some much-needed attention, you may find that it is difficult to tell whether you are cleaning dirt off of them or just wiping an area of advanced yellowing. We usually clean these on-site with a special silicone-based solution. Ultrasonic cleaning is available.